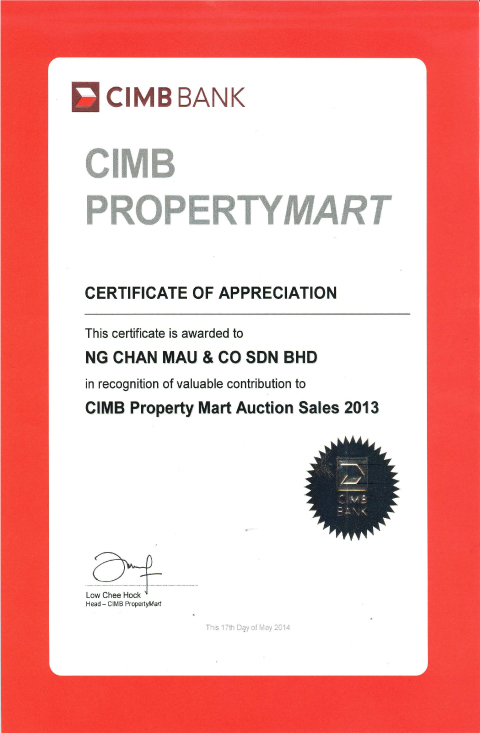 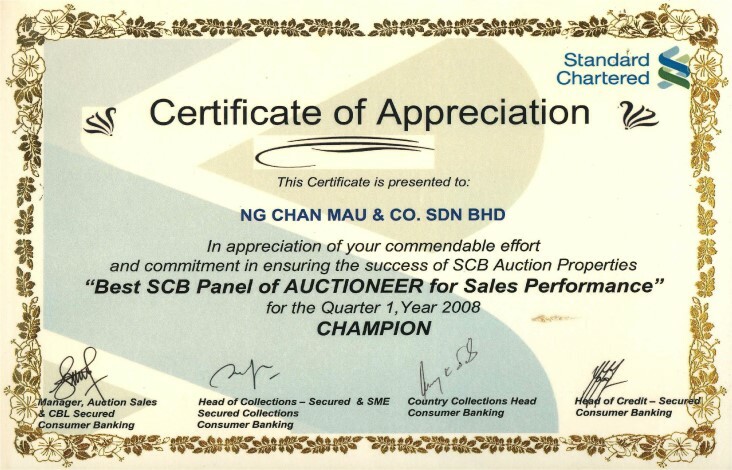 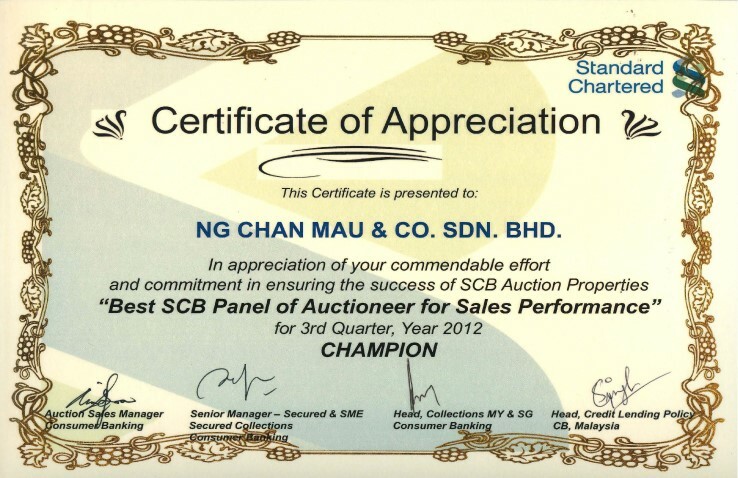 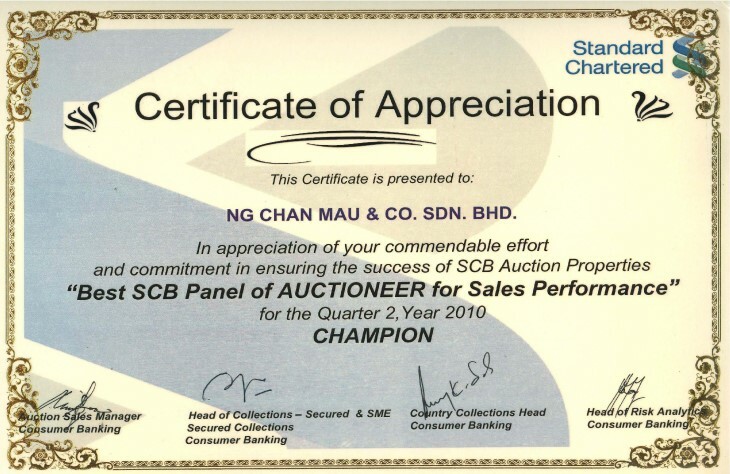 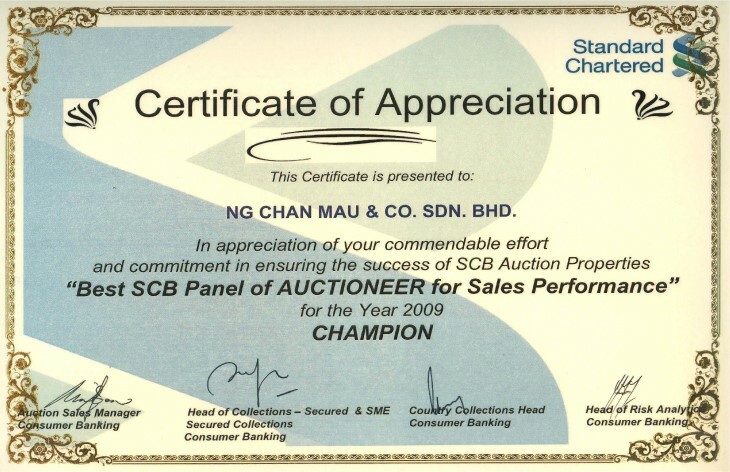 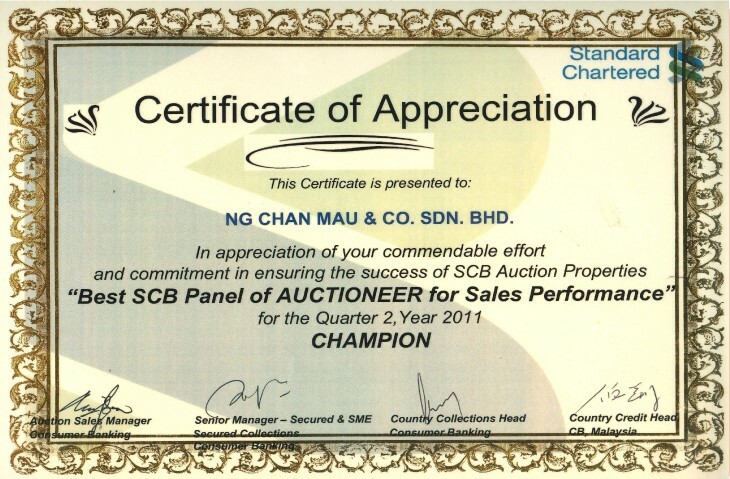 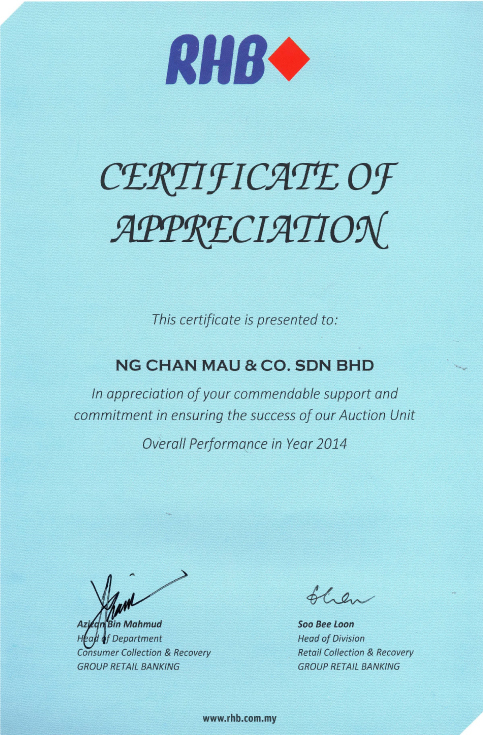 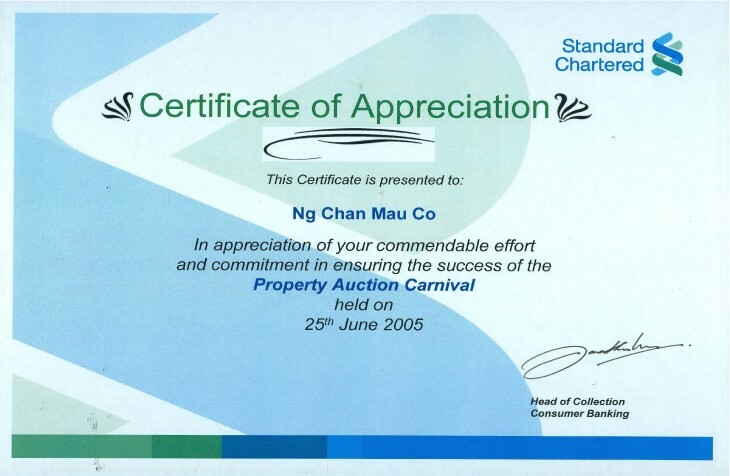 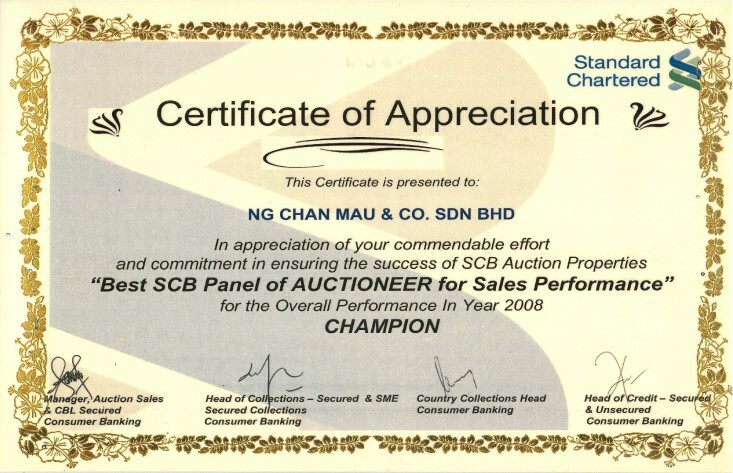 Ng Chan Mau & Co are the recipients of numerous awards from various banks such as RHB, CIMB and Standard Chartered for their continued success in conducting and seeing auctions through to the end. They have, over the years, earned the respect of numerous key players in the property scene for their efficiency and trustworthiness. In the coming years, the firm intends to continue improving on their services and adapt to an ever-growing auction market, as well as the changing economic conditions in the world today.